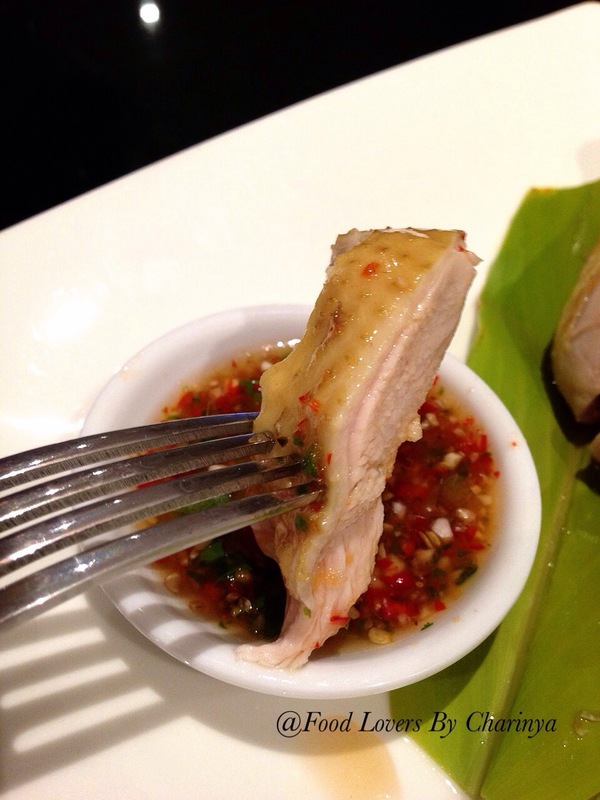 This dish is a Thai version of soya chicken that is commonly found in Chinese cuisine. 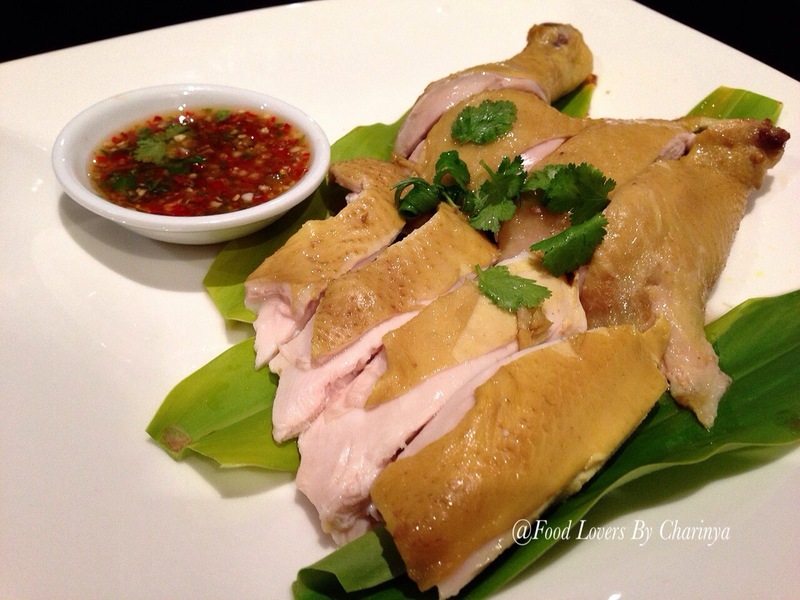 In Thai cuisine we use a lot of fish sauce in nearly every dish, and poached free range chicken in fish sauce (Kai Tom Num Pla)ไก่บ้านต้มน้ำปลา is a very popular dish. The dish is not difficult to make, it just needs a bit of time. This was my first time creating it but the result was very good. 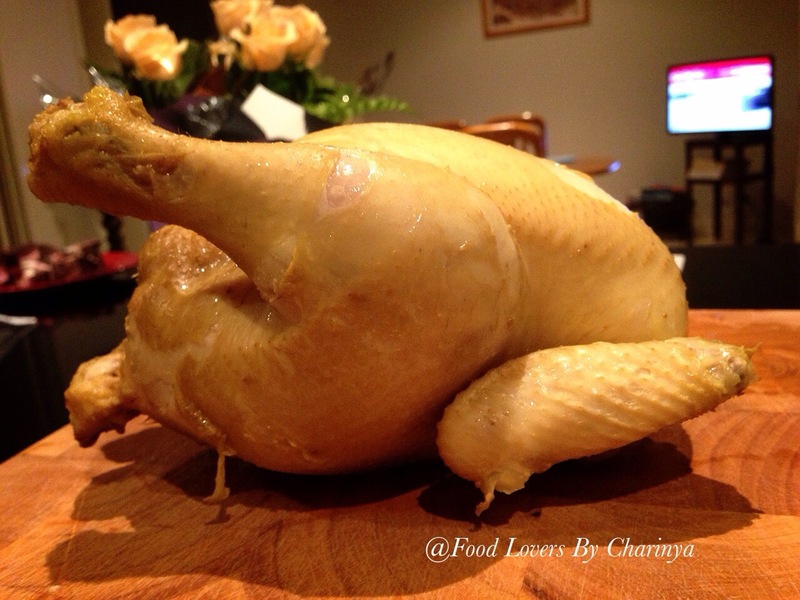 >> Take the chicken out and chop it into pieces. Serve with sauce and jasmine rice. • Season with palm sugar, fish sauce and lime juice. 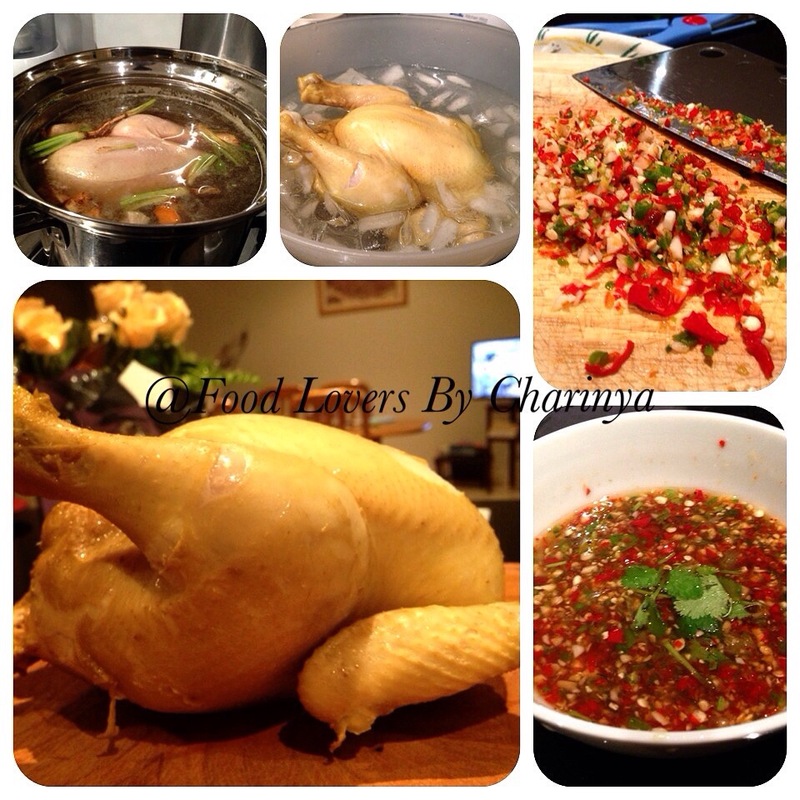 Add a table spoon of the broth from the boiling chicken and top with coriander.